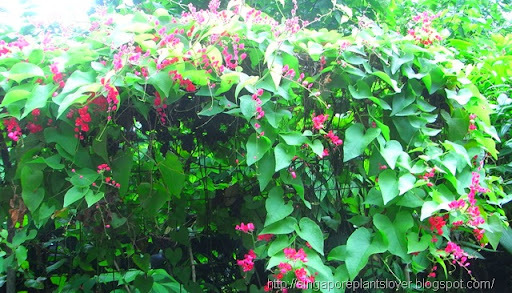 I post about my Coral Vine two weeks ago, now it is gone. Sad. All the leaves from green turn to brown, all are dropping and it is left only a dried stem now. What is wrong with my Coral vine? Coral vines is growing well at my friend's house...I think this plant is really not suitable to be planted in container.